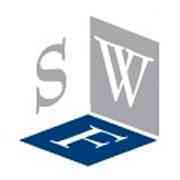 Smartwood Flooring Ltd - Carpets/Flooring based in Sompting, West Sussex. SmartWood Flooring are a well established and reputable family company, having earned our fine reputation through dedication to quality, service and the highest standard of workmanship. From renovation and refurbishment of old floors to fitting new solid wood, parquet, laminate, engineered and Karndean flooring. We cover the West Sussex, East Sussex, Kent, Surrey, Hampshire and London. Preparation work – screeding, insulation, sound proofing, dpm, joist work etc. Restoration & renovation of all types of wooden floors. Sanding & sealing of all wooden floors. Supply and installing skirting boards, architraves and window sills. Supply and installing laminate flooring. Supply and installing engineered wooden flooring. Supply and installing all types of solid wooden flooring – either un-finished or finished. Supply and installing Karndean flooring (Amtico is the more expensive equivalent product) – which is very popular in bathrooms, kitchens and conservatories. Karndean have a very informative website – www.karndean.co.uk.